This ebook review is entitled, The Gems Report: How To Become an International Gemstones Dealer, A Special Report by International Gems Broker: Anthony J. Namata, 1997-2007. This is a special report on becoming an international gemstones dealer. 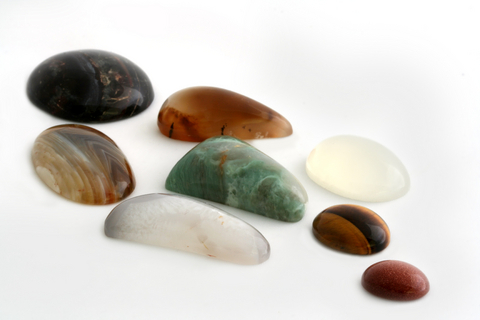 It is about business information on gemstones and how to get started as a dealer. The author wanted to share information and his insight on the gemstones dealership. Many people approached the author about the gemstones dealership business, so, he wanted to give his insight into the business. I'm writing this ebook review to give you an idea about this ebook. This ebook has gemstones charts on the different types of gemstones, their colors, clarity, carats and prices for these gems and information on commission rates a gems dealer could collect from the buyers, before the transactions occur between the buyers and sellers. This ebook review can give you some insight on what to expect from this ebook. The price the ebook is $28.95. In this ebook, the author is sharing information on the gemstones dealership business based on his own experiences to help those future gemstone dealers. Gemstones dealership can be a very lucrative business, providing that you have the right resources and contacts. This ebook provides such information and even has a member's site for the consumers to go to get listings of the gemstones and to get answers to their questions. The author describes or tells in detail the gemstones dealership. He even warns his readers about the possibilities of getting rip-off or cheated out of the real gemstones by cutters in some foreign countries. He explains which country have the type of gemstones you or your client may be looking for and about the finder's fee you can make from your clients for the gemstones you found for them. He has a list of gemstones with prices per carat of each stone plus a member site for the future dealers who purchase this ebook. Some of the gems are found in other countries (e.g., Tanzanite is found in Tanzania). He tells his readers how to set-up a virtual office and how a dealer can use a virtual assistant for theirbusiness. He gives examples of business correspondence to clients: buyers and sellers. He explains how to get in touch with suppliers, find markets using print media, online marketing, how to travel to find gemstones for business and the list goes on and on. There is a wealth of information packed in this 28-page ebook about the gemstone dealership business for anyone interested in this type of business. I like this ebook, it is very thoroughly written about the gemstone dealership. There is no hype to it, the author is very serious about wanting to help future gemstone dealers, he wrote this ebook because, his clients and friends wanted to learn more about the gemstone business. The author warns of the problems that can happen during a transaction when buying gemstones for your clients or when bringing buyers and sellers together. He gives you the real nitty-gritty on the gemstone dealership business. You will also become a member of the International Gemstone Dealers group, you'll access to their members area, you can take part in a Free Apprentice Program designed to help you train to become a gemstone dealer. You get to do business with carefully selected gemstones dealers that the author does business with himself. The author also developed a gem parcels section to cater to those of you who want to buy an assortment of high quality gemstones at rock-bottom prices. I highly recommend this ebook: How to Sell Gemstones: The Concise Guide To Becoming An International Gemstone Dealer Report. Fore, you'll get the information on the gemstones dealership, become a member of an elite dealers group, get access to their members area where you'll find information that'll help you get started into the gemstones business and they have a free Apprentice Program where you'll train with real online gem brokers. I hope this ebook review helped in explaining the author's purpose for this ebook to his friends and future gemstones dealers.